Born in Paris, Santiago Torres grew up in Venezuela and Colombia. Inheriting a spirit of creativity and research, he began his career at age 14, with his first exhibition “Dioses” at Yellow‐Galerie in Venezuela (2000). He developed within the Venezuelan art circle by participating in various solo and collective shows, until he returned to Paris in 2005. There he met kinetic and cybernetic artists Julio le Parc, and especially Nicolas Schöffer through Éléonore Schöffer. In 2006, he entered the Nicolas Schöffer Foundation. As an admirer of Kazimir Malevitch, father of absolute abstraction, he was deeply moved by the pureness of the Russian artist’s Black Square on White Background. Thereafter, he questioned the impact that this painting could have on the person looking at it. He wondered if, as did he, the viewer would like to be able to move the geometric shape, change it according to her will, with a simple gesture of the hand, in order to create movement, life. From there sprung Torres’s interrogations on interactivity in art, on the role of the viewer. He begun his research in mechanisms of perception and interaction between the viewer and the artwork. He used his self-taught skills in programming and electronics for his artistic research. The dimension of movement inspired and nourished him, just as it did kinetic artists Soto, Cruz Diez and Yaacov Agam. Torres wanted to offer a multidimensional journey to the viewer, who would become an active player rather than a passive viewer. In 2008, he presented his first interactive piece, Black Square on Cracked White Background, in Paris. In it, a black square offers itself to the viewer’s hand, to finally dance on a wall, which becomes interactive. From then on, his dream came true. “Cre-active” viewers participated in this tribute to Malevitch, almost a century later, using 21st century technologies. Nicolas Schöffer said, “Today, artists no longer create an artwork, they create creation.” From this idea confirming his ideal, Torres based his research on a deep analysis of light and color, inspired by perfect forms in nature and the infinite variations in perspective generated by the geometric configuration of these forms (Plato’s five bodies). Basically, divine geometry. 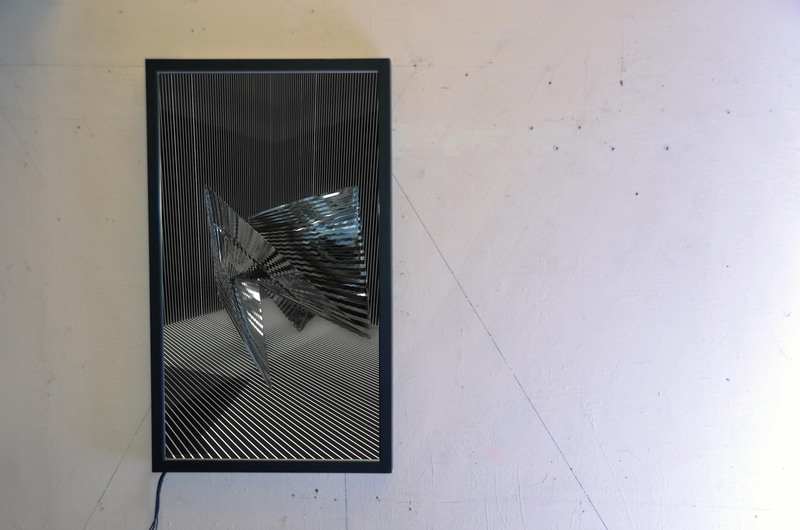 Torres studied Egyptian mysticism and numerology, pursued his research on GRAV (visual art research group) and GroupeT, a collective of Italian kinetic artists. 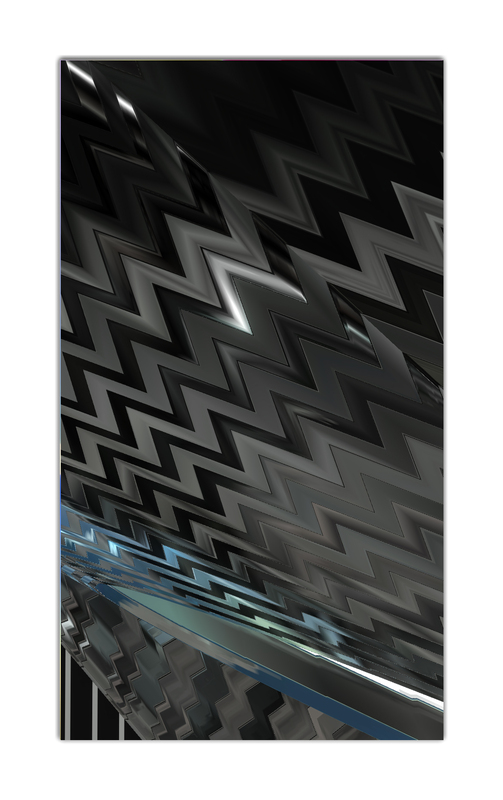 He admired Vasarely. Very soon, he began using screens, in line with the approach of Nam June Paik (1960), who worked directly on the source of the programs. 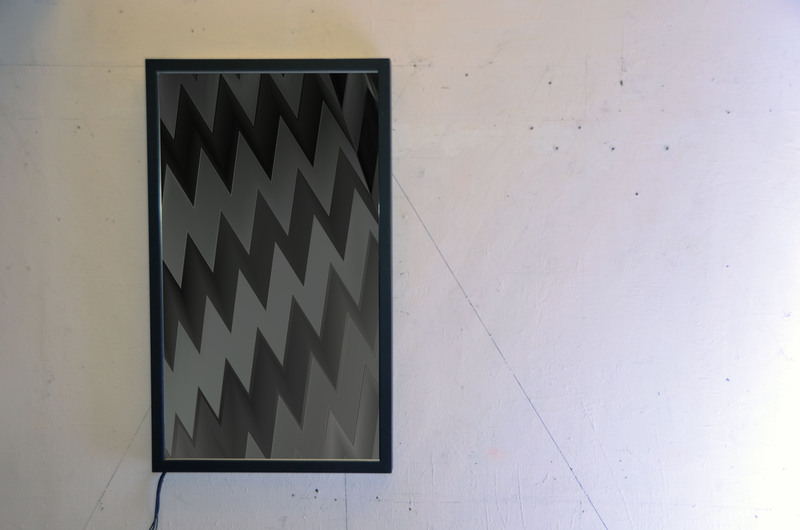 Torres transformed his screens, making them tactile. Objects became vectors of light and colors that viewers could change as they liked. He took inspiration from video games and broadened his research. His workspace became multidimensional, in constant evolution. In 2009, after a long phase of working on light in art and interactivity, he created his first interactive painting, Compositions couleurs, a combination of geometric figures. This was the painting that, the following year, would delight Ms. Denise René, who then exhibited him in her prestigious Paris gallery. Together, they went to FIAC in Paris and Art Basel in Switzerland. Later, Torres’s work took a new turn as his research spread to three-dimensional pieces, always interactive. For Torres, the word “art” was the pure translation of the idea of freedom, creativity, reflections and breaking the barriers of the still image. He wanted to open up a new field, playful and interactive. Éléonore Schöffer wrote that Torres’s work “is not fixed, but open to an esthetic and sensitive dialogue for those who, by daring to do so, join the mindset of the Creator”. Hence, the artist creates creation. His 5 Construccion color and the 12 Rotacion bear witness to this liberated esthetic. Always stimulating, Torres’s work is in perpetual cybernetic, and now multidimensional evolution. He is currently developing paintings that are not only tactile and three-dimensional, but that also integrate the fourth dimension of movement. Through Kinect sensors, viewers can use their body to interact with the artwork, remotely modifying virtual forms, assembling them, transforming them through body movements into their own creation. In 2014, Torres participated in a creative project by the organization Arts dans la Cité, which became his artist residency. His research on light led him into children’s hospitals. His use of warm and vivid colors and light is the result of his research in interactivity. He also exhibited at “Création Innovation” at Musée des Arts et Métiers, contributed to architecture with the Kinect movement and participated in the exhibition “Art cinétique numérique”. He is represented by Denise René Gallery in Paris.